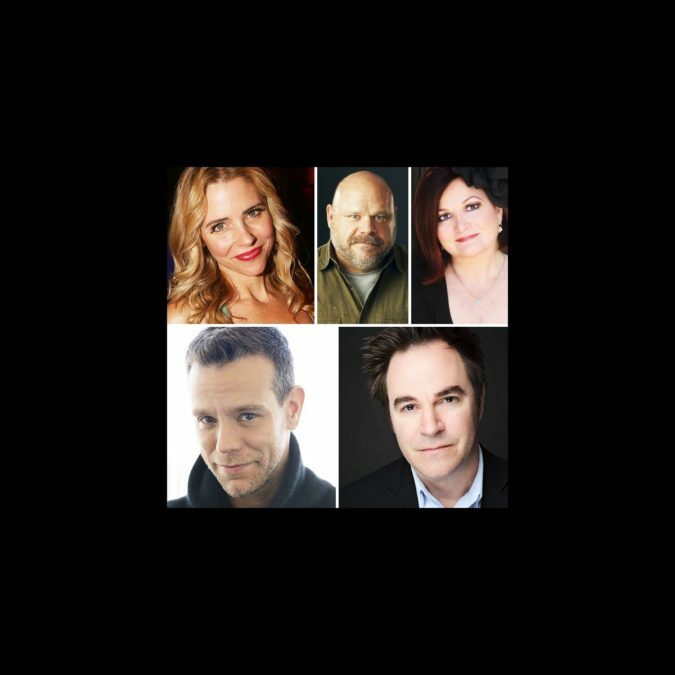 This is not a drill, Adam Pascal, Roger Bart, Faith Prince and more big names are returning to the Great White Way! Disaster!, which recently had two successful runs off-Broadway, is heading to the Nederlander Theatre. The musical comedy, based on cult favorite disaster movies from the 1970s, will begin performances on February 9, 2016 and officially open on March 8. Directed and co-written by Jack Plotnick and also starring co-creator and co-writer Seth Rudetsky, Disaster! is set on a summer night in Manhattan in 1979 and follows a group of NYC A-listers who party at the grand opening of a floating casino/disco—until disaster strikes. Earthquakes, tidal waves, infernos, killer bees, rats, sharks and piranhas all threaten the guests, who sing some of the biggest hits of the ‘70s, including “Hot Stuff,” “I Am Woman,” “Knock on Wood” and more. Along with Tony nominee Pascal (Rent) as Chad, Tony winner Bart (You’re A Good Man, Charlie Brown) as Tony, Tony winner Prince (Guys & Dolls) as Shirley and Rudetsky (The Ritz) as Ted Scheider, the cast will include Tony nominee Kerry Butler (Xanadu) as Marianne, three-time Tony nominee Kevin Chamberlin (The Addams Family) as Maury, Rachel York (Victor/Victoria) as Jackie, Jennifer Simard (The 25th Annual Putnam County Spelling Bee) as Sister Mary Downy, Max Crumm (Grease) as Scott and Lacretta Nicole (Broadway debut) as Levora. Disaster! will feature choreography by JoAnn M. Hunter, scenic design by Tobin Ost, costume design by William Ivey Long and lighting design by Jeff Croiter. Additional cast and design team will be announced shortly. The Nederlander Theatre most recently played host to Amazing Grace, which shuttered on October 25.